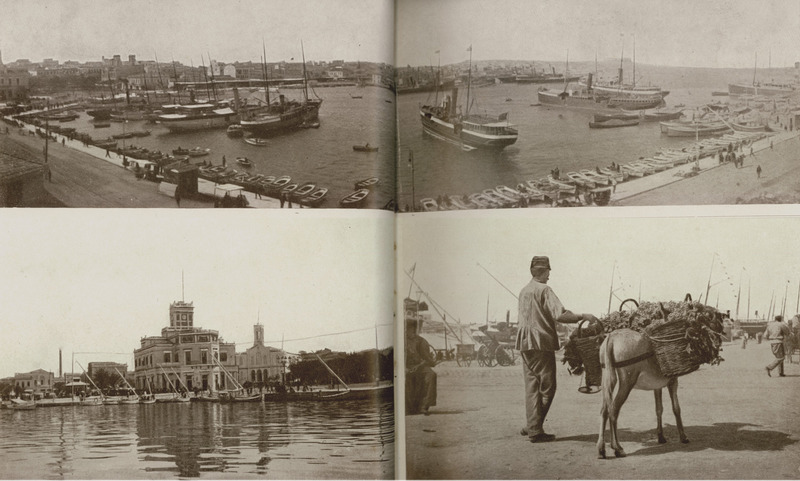 Views of the port of Piraeus. The Exchange buiding and the garden of admiral Tinan. Raisin seller on the quay.